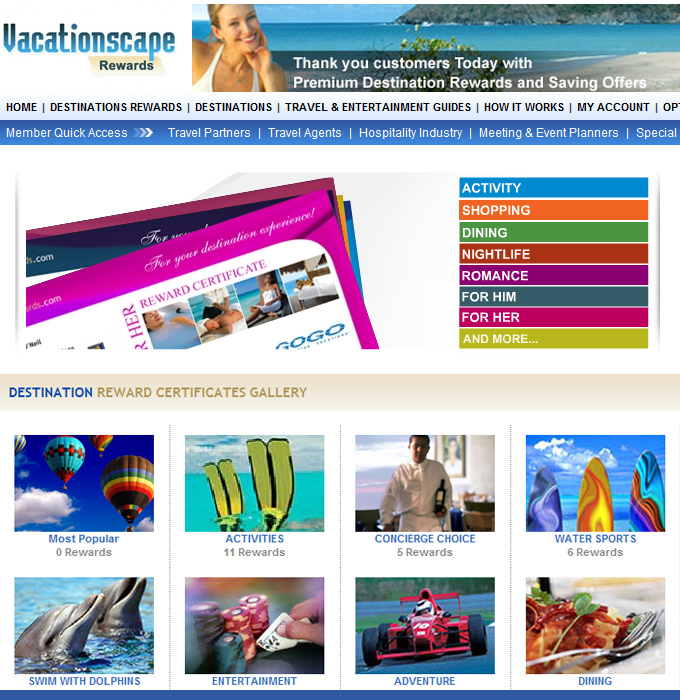 Vacationscape Destination Rewards is the ideal solution for building a profitable relationship with your customers. Our turnkey loyalty engine delivers targeted and relevant reward offers to your customers. We do the work by lining up the best shopping, dining, adventure and fun services. Then you and your customers reap the Rewards through a fully-customizable format that reinforces your brand.